Audi&apos;s line of SUVs in America just added another member. 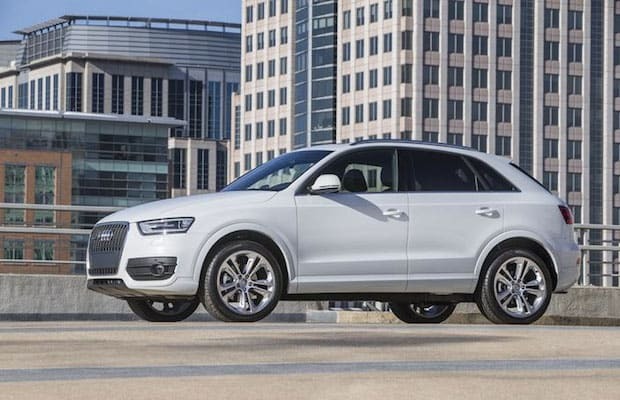 The German car manufacturer unveiled the 2015 Q3 at the Detroit Auto Show and announced the compact SUV will hit the American market this fall. Previous models of the Q3 were only available in Asia and Europe. It won&apos;t be the roomiest of SUVs, but the Q3 still promises plenty of utility. The four-cylinder engine produces 200 horsepower and 207 lb-feet of torque, and also features a six-speed Triptronic transmission. Adjustments to the electronic stability control—with offroad mode and hill descent assist—and the optional Audi drive select system—with Comfort, Dynamic, and Auto mode—will help you tackle whatever comes at you. Or, more aggressively, whatever you decide to come at. With looks that vaulted Audi to its status of being one of the most attractive cars in market, and the enormous demand for this particular size of crossover, don&apos;t be surprised if you start seeing these all over the place when they grace showrooms. RELATED: The Audi Allroad Shooting Brake is Cool, But What Is it Previewing?